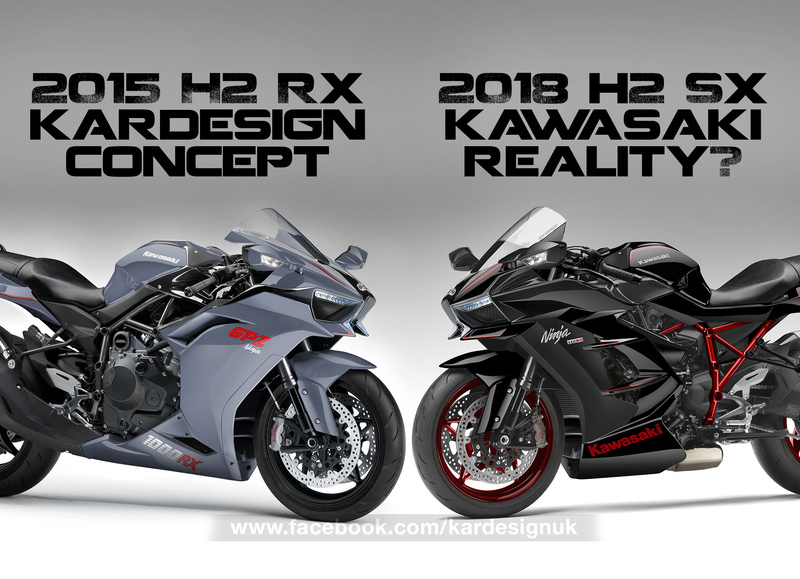 Back in 2015, Kardesign predicted a fully-faired, H2-based, hyper sports bike to rival the Suzuki Hayabusa and if reports from German bike mag Motorrad turn out to be true then we’re likely to see this new model revealed THIS YEAR. 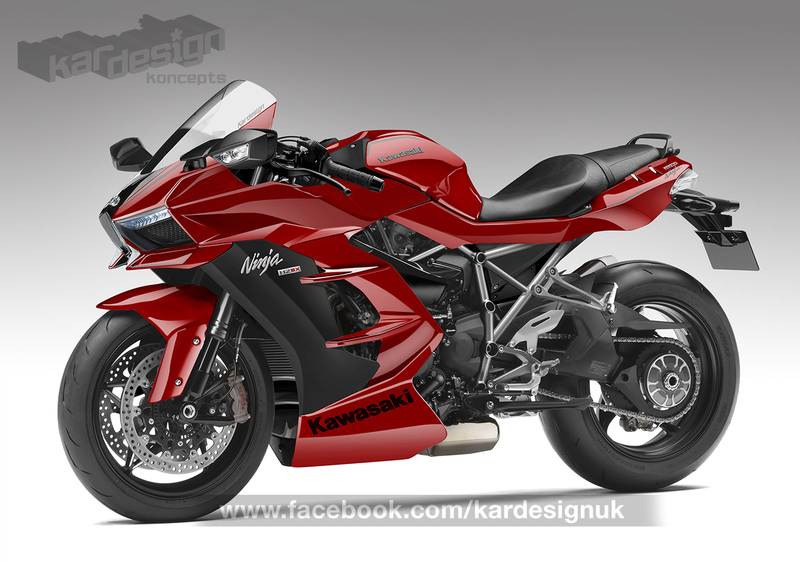 Motorrad magazine approached Kardesign to come up with a vision of what the new bike would look like and using information from our sources here is the result. The concept makes perfect sense – the supercharged real-world 200bhp inline-four motor in the H2 has proven capable of reliably propelling riders to 186mph while the 300bhp H2R exceeds the 200mph mark. It’s a potent powerplant with tooling and manufacturing already in place. 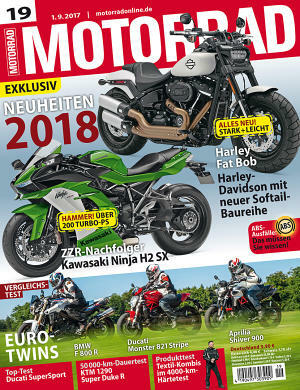 Housed in a modified version of the trellis frame used in the H2, Motorrad are reporting the new bike is called the SX H2 and shares many parts with the 2015 H2 which is a logical step to reducing production costs. 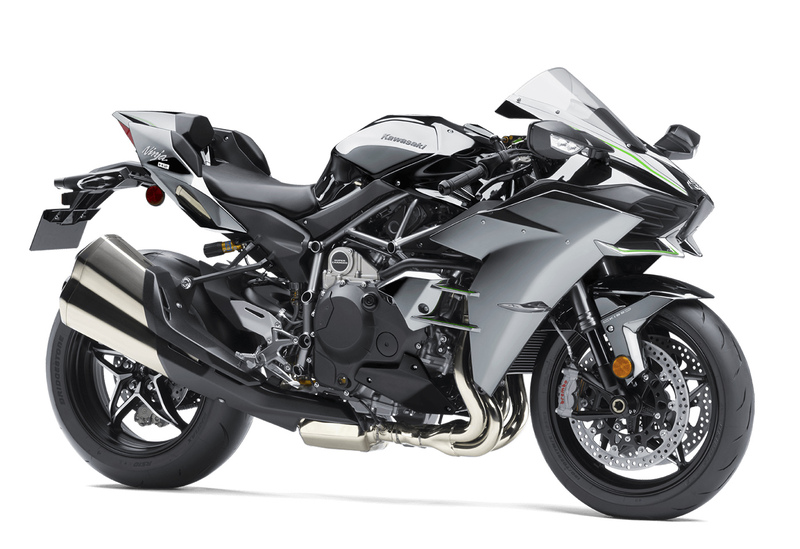 Other changes expected are a trellis subframe for pillion use and luggage capability, a full fairing with higher screen for sustained high speeds, higher handlebars for comfort and a bigger tail section with more accommodating dual seat. There is also likely to be a smaller exhaust and rumour has it that the bike may feature cornering lights that automatically adjust to illuminate the road in turns. 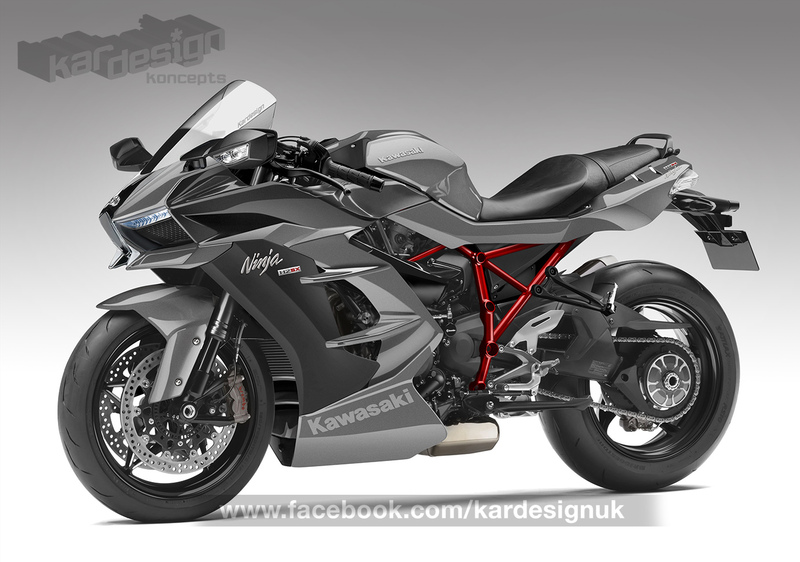 The single-sided swingarm is likely to remain as will the five-spoke wheel design. 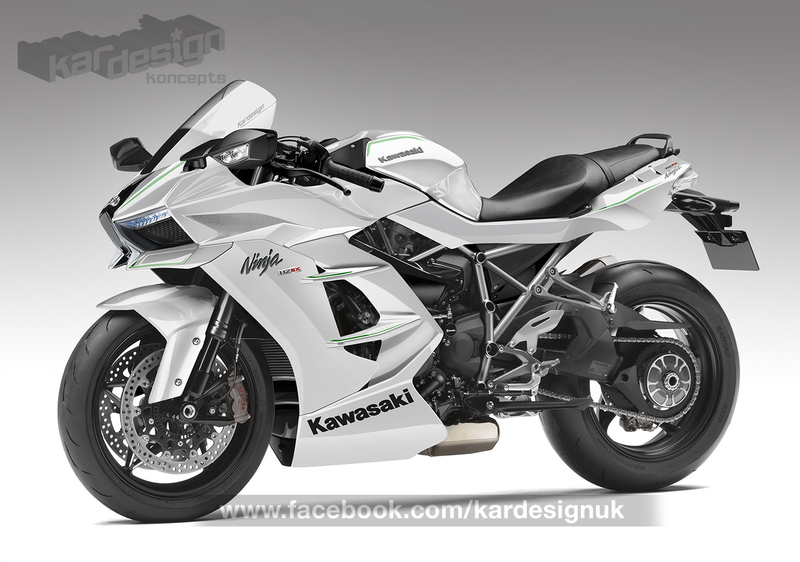 Bodywork would change to suit a hyper sports tourer, namely a more substantial fairing with taller front cowl to deflect wind from the rider and promote a more aerodynamic bubble though it’s likely to lose the ‘fins’ from the H2R. The larger tail unit could easily feature fold-out bungee points as per the ZZ-R600 and 1100 series and we’re expecting the fuel tank will remain at 17 litres though we’re hoping for a small increase to extend gaps between fuel stops.